Gremlins Games | Gremlins Online! This is a full listing of every Gremlins-related video game and any information that can be found on them. Click here for all information on the “Lost” Gremlins games! 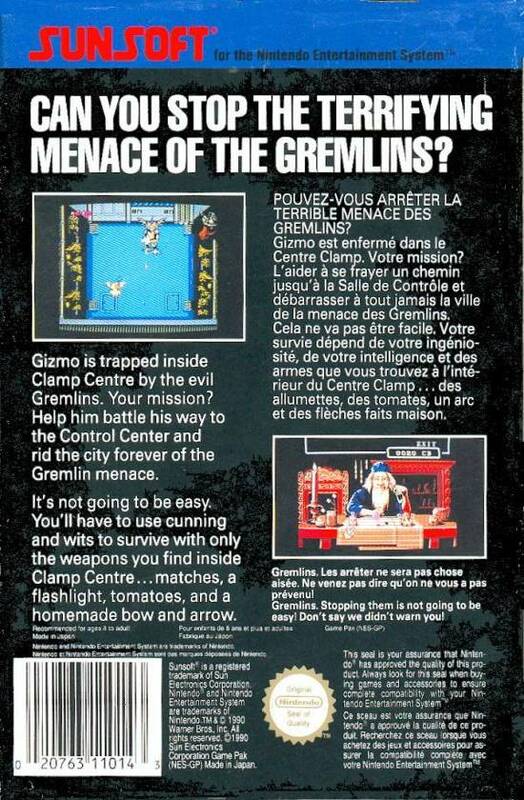 Gremlins on Atari 5200, Commodore 64, and Apple II were all virutally the same game, with varying graphical quality dependant on the system’s capabilities. The Atari 2600 game strayed quite far from the film’s roots, and it was because of this that it was not as successful as the other versions. 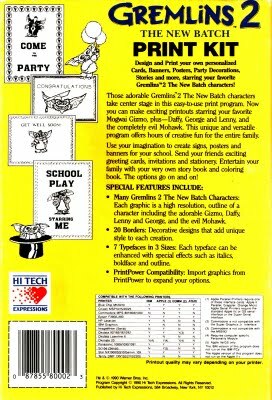 Gremlins: The Adventure was a text-based adventure game that had you taking the role of Billy from the movie, and have to travel through various locations seen in the film to thwart the gremlins menace. This is considered tobe one of the better Gremlins games, as it stays very true to the movie, and it manages to keep the horror/comedic tone that made the film so popular. 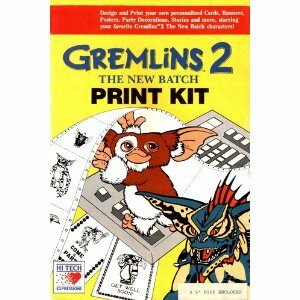 This game is often regarded as the best Gremlins game released, even though there was a lot of creative license taken in the game’s design. You play as Gizmo from an angled top-down view, travelling through the Clamp Center to save the day from the gremlin menace. The game plays like a standard platformer, and has some features that really made it stand out from other games of the same genre at the time, such as upgradable weapons and items. All of the levels are made to resemble areas that were featured in the film, from Billy’s office to the set of Microwave with Marge to the Clamp Control Center. The graphics are up-to-par with the era, and each type of gremlin is easily distinguishable from the rest. George, Daffy, Lenny and Mohawk make appearances throughout the game, getting in your way on a regular basis. The story is told through animated cutscenes, and portray the movie’s story with great accuracy, so even if you have not seen the second film, the story is not lost. The game does not have a save feature, but has passwords in case you need to start over. Gremlins 2 ends with a battle against Mohawk the Spider-Gremlin, and afterwards you get treated to seeing the demise of the gremlins at the hands of Billy and the Electric Gremlin. 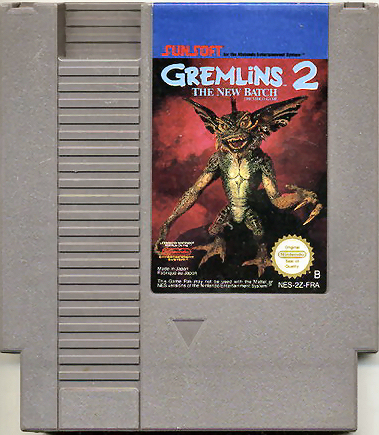 Gremlins 2: The New Batch for Game Boy was created by Sunsoft, who had major success in the NES/Game Boy era with movie tie-ins such as Batman, Fetser’s Quest (an Addams family spinoff) and others. They also had a few significant original IPs, such as Blaster Master, Aero The Acro-Bat and Journey To Silius. The Game Boy game is infamous for its difficulty and unforgiving controls. 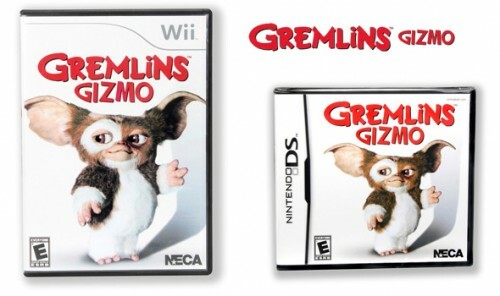 You play through the game as Gizmo armed a pencil and have to navigate increasingly tough platforming stages all while Gremlins aim to make your fuzzy little life miserable. The game wasn’t very true to the film, however this was common in that era of gaming. The levels have similar aesthetics to some areas of Clamp Center such as the backgrounds having items found in various set-pieces in the movie. (science lab equipment , studio cameras, etc.) 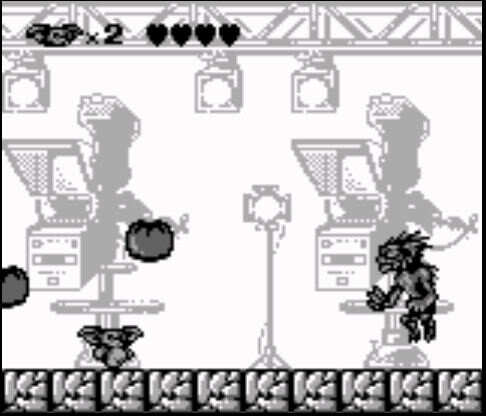 If you can tolerate the difficulty and frustratingly precise controls, Gremlins 2 for Game Boy is a must-have in any Gremlins fan’s collection. –Though this game was not widely available in the USA, it could be found at some major retailers, such as Wal-Mart and Target, it is considered somewhat rare and was scarcely available. –Though this game was not widely available in the USA, the game could be found at some major retailers, it is considered somewhat rare and was scarcely available. The game was not released for PS3 or Xbox 360. I don’t know if it will be released for any systems besides the Nintendo Wii and Nintedo DS. Pingback: Website Update & new merchandise! « Gremlins Online!